Target 86 Group Presents the fifth annual Redemption Festival. 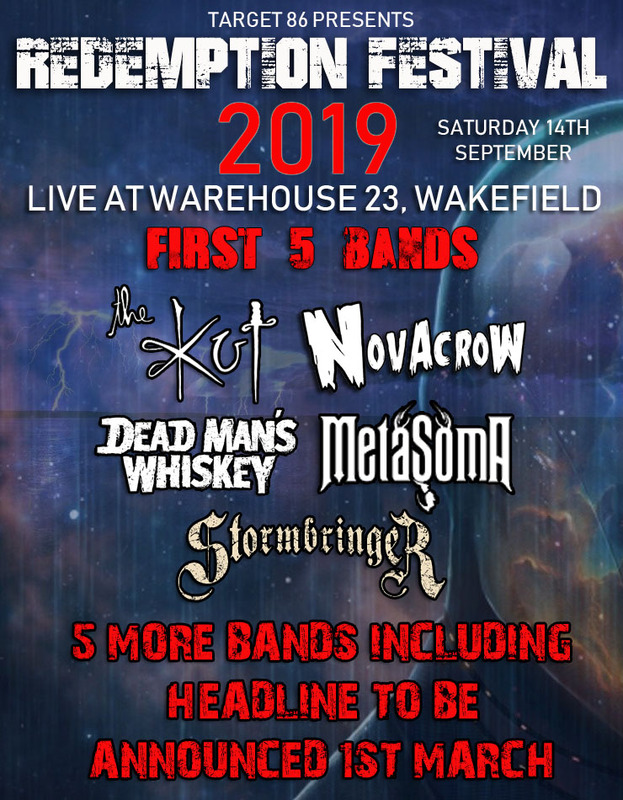 A full day of live music showcasing some of the UK’s top up and coming Rock / Metal bands. Raising funds for Wakefield Hospice & Barnsley Hospice. The one day event has grown each year and gathers support from music fans, promoters, artists and media from all over the UK and overseas.